Dell Inspiron 11 (3168 and 3169) Palmrest and French-English Keyboard Assembly- genuine Dell OEM Palmrest Touchpad Assembly with keyboard for the 3162 and 3164 laptops; include the French-English Key Layout. NOTE: Keyboard with French-English key layout; not a suitable replacement for standard US-English keyboard assemblies. 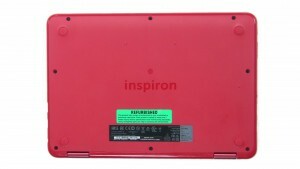 We have made the installation of your Dell Inspiron 11 3168 Touchpad Palmrest a simple DIY project. Just follow our step by step instructions. We have written and video installation tutorials available. Save time and money by doing your own Dell laptop repair.